Kuaidi Dache and Didi Dache, China’s two biggest players in its taxi hailing app space established the merger to its deep roots.It finally received the approval of the main investors of each of the two company’s. Reports related to this alliance was released publicly by media late this week. 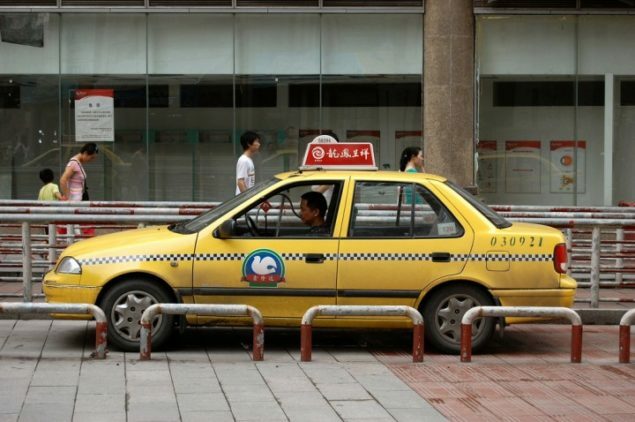 “Xinhua-Chinese taxi-hailing apps Didi Dache and Kuaidi Dache announced merger on Saturday after a year of break-beck competition for market share”. It also stated that the companies are expected to maintain their own businesses and branding even after the merger. According to the analysts, the estimated value of the entity after merger is around $6 billion. However the actual price is not yet revealed by the two sides involved in this venture. This estimated price is too high because the two services are believed to account for almost or even more than 95 percent of the total Chinese taxi hailing app market which currently possess 150 million users on monthly basis. To end the war of abrasion, the two company’s are finally coming together irrespective of their dominance in the Chinese market because fighting seem to have an adverse effect on their business, at least apparently it does, so mobing in the same direction aiming to achieve the same goal does makes more sense in the practical world. This alliance might probably weather future regulations imposed by the government which hasn’t cut into either business for now. “China’s top leaders’ recent statements have shown support for reforms and innovation. We are also pleased to see Ministry of Transportation confirming the value and benefits that innovative mobile Internet technologies bring to the transportation industry. Kuaidi Dache and Didi Dache are basically supported by China’s prominent internet company’s namely Alibaba and Tencent respectively. Didi Dache, One Of China’s Two Dominant Taxi App Firms, Closes $700M Series D Round. However the other company pulled $600 million in January. This merger is a setback for Uber’s endless efforts to break into the Chinese taxi hailing app market. This merger gives the Dache services an advantage to the limited cities which has started not permitting the taxi drivers to use multiple apps. “As a shareholder in Kuaidi Dache, Alibaba Group is supportive of this merger as it will promote the healthy development of the taxi-app and expand city travel options for users,” Alibaba added in a statement. After the Lunar new year, the two companies i.e, Kuaidi Dache and Didi Dache are expected to reveal more information at a particular press conference. This seems to create a hype about what exactly is going to be revealed by them.